Ruling Nepal Communist Party Chairman Pushpa Kamal Dahal’s statement on the Venezuelan political crisis 10 days ago, blaming the United States, has sent powerful shockwaves in the diplomatic fraternity of Nepal. Suspicions that the US government is not happy with Nepal over Dahal’s statement seemed true when the US Ambassador to Nepal, Randy Berry, did not show up at a briefing hosted by Prime Minister KP Sharma Oli for Kathmandu-based international missions last Friday. Sending his deputy to the meeting, the ambassador engaged himself in a conversation with prominent Nepali journalists at the embassy the same afternoon. In the meantime, the US government reportedly quizzed Nepal’s Ambassador Arjun Bahadur Karki over the issue. 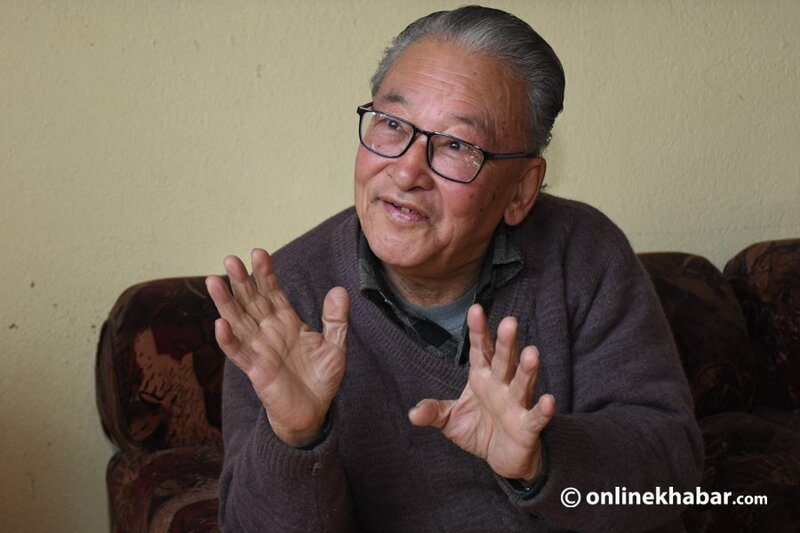 Onlinekhabar has talked to foreign affairs expert Hiranya Lal Shrestha, who once served as Nepal’s Ambassador to Russia, about possible impacts of the ruling party leader’s statement on Nepal’s ties with the US. The US embassy sent it deputy chief to the PM’s briefing. What does it mean? The meaning is clear that the US is not happy with Dahal’s statement over Venezuela. The US sought the government’s official opinion over the issue, and the Ministry of Foreign Affairs issued a statement. The government statement’s language was soft, but the content was same. The ambassador’s absence means a protest to the government’s statement. If that had been the case, should Nepal have kept mum on the issue instead of infuriating one of the biggest donors of the country? The US tried to remove the Venezuelan government that it did not like. Both Nepal and Venezuela are nonaligned countries. Both are victims of imperialism. Therefore, it is natural on Nepal’s part to speak for a country akin to it. Nepal protested because it fears the same fate if it fails to speak against the move now. It is in compliance with the country’s constitution. Nepal has been protesting imperialism in international forums including the United Nations. Therefore, the statement was a real need. So do you think Nepal’s ‘fight’ with any world power in support of Venezuela is justified? I know Nepal and the US have old diplomatic ties. The relations are multidimensional. But, Nepal has not agreed to support the US government’s Indo-Pacific Strategy prepared to form a strategic alliance against China. It does not mean that we want to jeopardise our ties. Keeping the good ties with the US does not mean harming the relations with China or Venezuela. The statement has been blown out of proportion. Was the statement the real trigger for the sour relations or just one among many reasons accumulated since long ago? They do not like Nepal being a part of the Belt and Road Initiative. Instead, the US wants Nepal to support the Indo-Pacific Strategy. Nepal did not attend the joint military drill of Bay of Bengal Initiative for Multisectoral Technical and Economic Cooperation (BIMSTEC) last year. On the surface, India commands BIMSTEC, but indirectly the US holds the reins. Nepal has been restricting all powers from carrying out anti-China activities in its land, but the US wants to use Nepal to act against Beijing. Nepal has been resisting it. The US does not like Nepal’s policy of seeking support in investment, trade and tourism, but not partnering on military and strategic issues. But, Nepal cannot align itself with the US on strategic issues because of its geopolitical situations. Nepal does not want to be hostile to its neighbours, but the US is pulling Nepal on its side. On the other hand, the Rasuwagadhi border point has been opened recently. It is not only a border point, but an entrance to South Asia for China. The US is increasing its activities in Nepal in order to counter China. The government already clarified its position over Venezuela whereas the Nepali Ambassador in Washington also submitted his clarification. But, why is the US demanding the government’s response again? It is an attempt to use [Prime Minister] KP Sharma Oli against Dahal [Prachanda]. The US sought a clarification hoping that the difference between the government and the party’s responses would be as wide as possible. Because it has two chairpersons, the US wants to play its role in the NCP. It wants to split the ruling party. The US knows well that Nepal’s statement on Venezuela does not create any difference. The issue has been just blown out of proportion. Nepal should be aware of such efforts. Do you think that the US will ‘misuse’ Nepal in its advantage anytime soon? The US wants to allocate certain budget to the Tibet government officially. 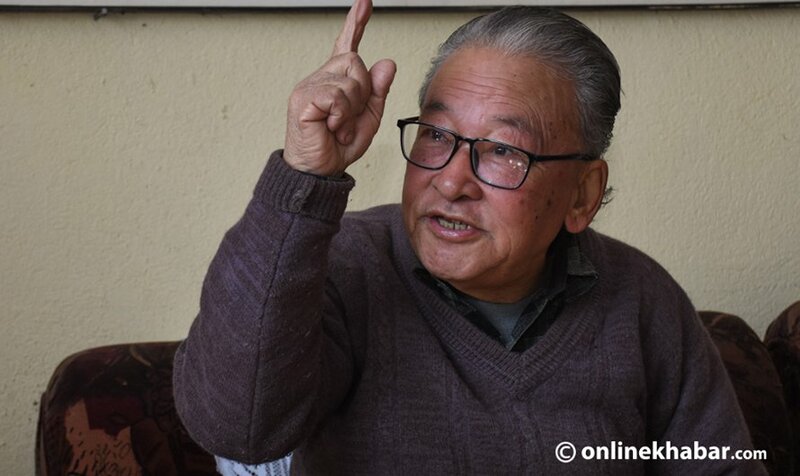 It has already made attempts to misuse Nepal’s land to promote anti-China activities. It wants to support the forces that can create disturbances in Nepal-China ties. The US wants to play in China’s soft belly, Tibet, through Nepal. Did the recent incidents prove that the US does not look at Nepal through New Delhi? Yes, it has been clear now. The US has already made its position clear about Nepal. It wants to deal with Nepal directly. The US perceives Nepal not only as a neighbour of China, but also a ‘frontier of the free world’. It thinks China should not be allowed to enter here. It was also the principle of former Indian Prime Minister Jawaharlal Nehru. India wanted to rule the entire land south of Himalayas. It wanted to keep Nepal under its protective umbrella. But today, India purchases arms from Russia. It has trade links with China. Such a powerful country does not want to blindly stay with the US. What is the biggest change that you see in the US government’s Nepal policy? When India aligned itself with Russia, Washington would look at New Delhi via Kathmandu. 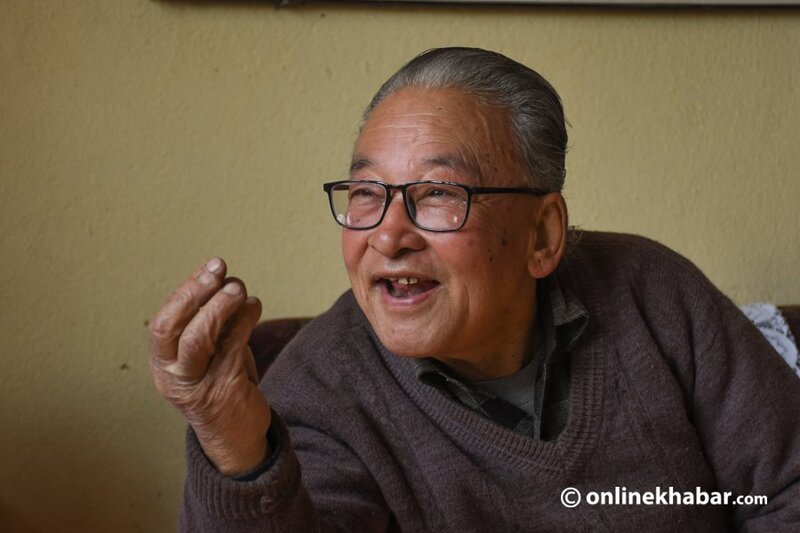 Now, after Hong Kong became a part of China, it looks at China through Nepal. The US embassy in Kathmandu is ‘huge’ not only because Washington has accorded high priority to Nepal, but it wants to watch China and South Asia as well. Do you agree that our diplomatic ties are turning more complicated every day? Nepal has been a spot for strategic competitions. We need to be aware of it. The global diplomacy is turning more complicated and Nepal should not stand on any side against any other country. It has to maintain balanced ties not only with the two neighbours, but with everyone. The traditional diplomacy has turned inadequate because the entire world is looking at us closely. The Venezuela case is a learning to us.